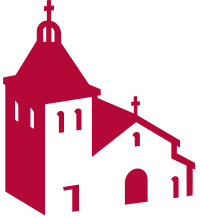 Access to this page is limited to specific Santa Clara University faculty, staff, and students. To view this page, login using your SCU account id and password. Please enter your SCU Network ID and Password. Your SCU Network ID username and password are the same credentials that you use for logging in to Campus PC computers, the SCU wireless network, the Room Reservation System, and other protected campus resources. If you are having difficulty with this password, call the IT Help Desk at x5700 (408-554-5700), or visit the Help Desk on the first floor of the Learning Commons Library. What does "full access" provide? Full access to the Phonebook includes direct email and phone contact information for SCU faculty and staff, and the option to create your own address book from the directory of people and organizations. How do I update my Phonebook information?